SLIPKNOT frontman Corey Taylor spoke to the Des Moines Register about the band's upcoming sixth album, which is tentatively due this summer. Describing the band's new music as "evil," Taylor said the follow-up to 2014's ".5: The Gray Chapter" is "going to be ridiculous. Let's put it that way." 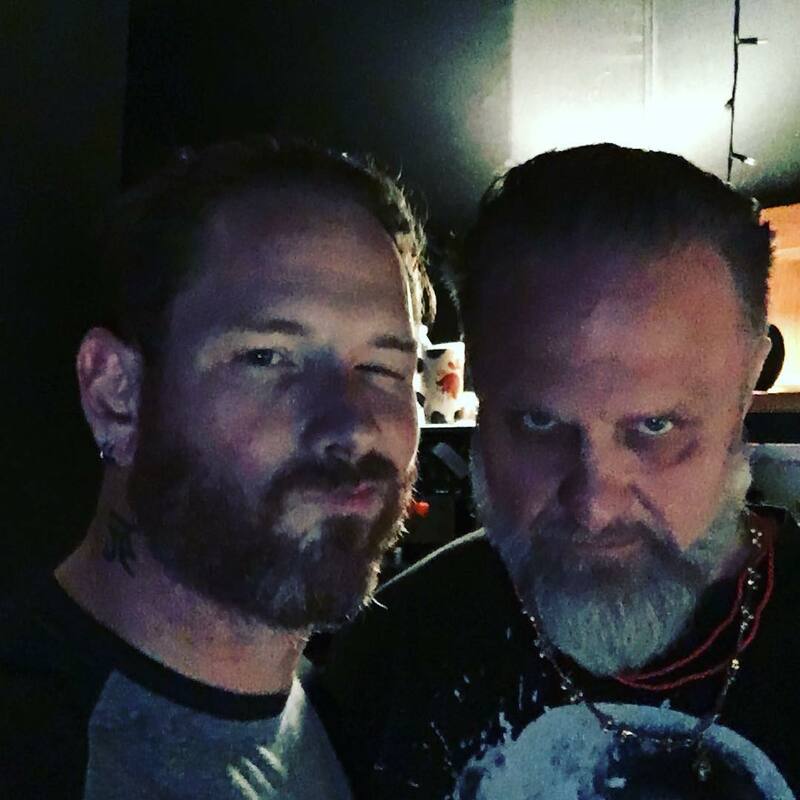 The new disc is once again being recorded at a Los Angeles studio with producer Greg Fidelman, who engineered and mixed SLIPKNOT's 2004 album "Vol. 3: (The Subliminal Verses)" and helmed ".5: The Gray Chapter". According to Taylor, SLIPKNOT's recently released standalone single "All Out Life", which arrived last October isn't "nearly as dark and vicious as the rest of the stuff that we have that we're working on." Taylor said he wrote "All Out Life" in part because he didn't see others using music as a force to "take a hard look at what you believe." He explained: "People are way too pissed about the wrong things and not pissed enough about the right things. " the tone for getting people to stand up and go, 'We're not gonna allow this. We're not gonna allow people to run us down for religious beliefs, for the color we are, for what we stand for. For who we chose to love.' All of these things. There's nobody doing it, man. Everybody's too worried about their pockets. Everybody's too worried about their paychecks. "That was me, basically, drawing a line in the sand and going, 'Guess what? You don't get to do this anymore,'" he added. Some of SLIPKNOT's new album will also deal with Taylor's depression that led to a divorce and forced him to "figure out who I was" without relapsing into substance abuse. "All I was doing was giving and I found myself absolutely, completely tapped," he said. "You could see it in my skin. You could see it in my eyes. That's basically the journey I'm going to take people on this album … show them what happens to depression when you have no chemicals to fall back on. "It's a pretty dark ride." Ex-SLIPKNOT drummer Joey Jordison has told Metal Hammer magazine that he has a pile of unreleased demos at home that were originally meant for his former band. He said: "I have a ton of SLIPKNOT demos that I have at home. Maybe some day they'll surface, maybe they'll never be heard, but I don't translate them to any other band; they still stay in the SLIPKNOT safe. I won't use them for anyone else besides SLIPKNOT, if that ever happens again." Asked if he still writes music in the style of SLIPKNOT, Jordison replied: "It depends. I play guitar all the time and I'm constantly thinking of songs. I sleep music. I wake up and there's a riff in my head, every step I take there's a riff, a beat, or something. That's the way a musician is. You're isolated in a weird way because music is haunting you as much as it's loving you. It's non-stop. Every time I pick up a guitar, I come up with different riffs all different bands I've been in. Sometimes there is a song or riff that could only belong with SLIPKNOT and I just can't use it for anything else, regardless of whatever happened. It just stays in the bank and I can't use it for anything else; I just won't do it." Joey Jordison, singer Corey Taylor and percussionist Shawn "Clown" Crahan were interviewed for the new issue of Metal Hammer, which celebrates the 10th anniversary of SLIPKNOT's fourth studio album, "All Hope Is Gone". SLIPKNOT announced its split with Joey Jordison in December 2013 but did not disclose the reasons for his exit. The drummer subsequently issued a statement saying that he did not quit the group. Back in 2014, Taylor told Metal Hammer that firing Jordison after 18 years was "one of the hardest decisions" the group ever made, adding that Joey is "in a place in his life" which is "not where we are." Joey recently revealed that he is working on his first-ever book. The 43-year-old musician just completed a European tour with the international death metal supergroup SINSAENUM. #Slipknot announce #European #TourDates for 2019!!! SLIPKNOT will also perform at the Iowa State Fair Grandstand for the first time ever on August 10, 2019. Tickets for the concert go on sale November 2 at 10 a.m. via IowaStateFair.org, costing $43, $53 or $60 before fees and fair admission. An opening act is yet to be announced. The Iowa State Fair runs August 8-18, 2019. Slipknot are rocking Halloween 2018 with a brand new song in four years! Listen to their surprise release of ‘All Out Life’ here! “All Out Life” might be one of Slipknot’s heaviest tracks yet! What better way to ring in Halloween than with new music from the iconic band. Listen to the new track above!